From riding the highest zipline in the world and braving dizzying black runs, to tasting culinary curiosities in the finest restaurants, there’s a lot more to the Alps than meets the eye. The Alps are home to staggering peaks and world class ski areas, attracting skiers and snowboarders from across the globe. To fully make the most of this skier’s paradise, read on for our list of adrenaline packed, bucket-list worthy activities to complete. Without further ado, here’s the Alps2Alps skiing bucket list. The 120 km long trail from Chamonix in France to Zermatt in Switzerland is better known as the Haute Route, one of the most famous multi-day ski tours in Europe. This challenging trail takes you away from the crowds and leads you past the Matterhorn and the couloirs of the Val d’Arpette. Stay in simple huts each night and arise each morning ready for a fresh adventure. When you think of heli-skiing, North America or Canada might first come to mind. You might be surprised to discover that it’s possible to go heli skiing in the Alps! For those not in the know, heli skiing is what it’s called when you replace the ski lift with a helicopter! Kick off your day with a thrilling helicopter ride and take in the breathtaking scenery before being dropped off far from the crowds for an extra long run across varied terrain. Try Zermatt in Switzerland or Courmayeur in Italy for the best heli skiing experiences in the Alps. Another way to escape the crowds is to travel midweek! Not only can you get to your resort faster, but you can also save up to 60% on your ski transfer! This is one for the thrill-seekers. The Laub off-piste run in Engelberg is a 1,100 vertical, north facing drop with nothing to get in your way of reaching maximum speed. This off-piste run is pretty relentless, so make sure you take a guide and avalanche equipment to be on the safe side. This is a must for any skiing fan. There’s nothing like the buzz of the crowd at a big skiing event. Watch potential champs whizz down the mountain and celebrate the win afterwards at a very lively après ski! The ultimate après ski experience. Famed for being the best place to party in the Alps, St. Anton is home to mega-bar Mooserwirt for flowing drinks and cheesy tunes and Krazy Kanguruh for après beers on the sun terrace. Any adrenaline junkies out there? This one’s for you. Val Thorens boasts the highest zipline in the world. Glide over alpine peaks at 1300m for a short but intense rush. Not recommended if you don’t like heights! Tick skiing down Europe’s highest mountain off your list! You can ski down the Mont Blanc Massif from the Chamonix ski resort in the French Alps. After a scary start, enjoy the stunning alpine views as you glide down the wide slopes. A skiing holiday can work up a serious appetite. 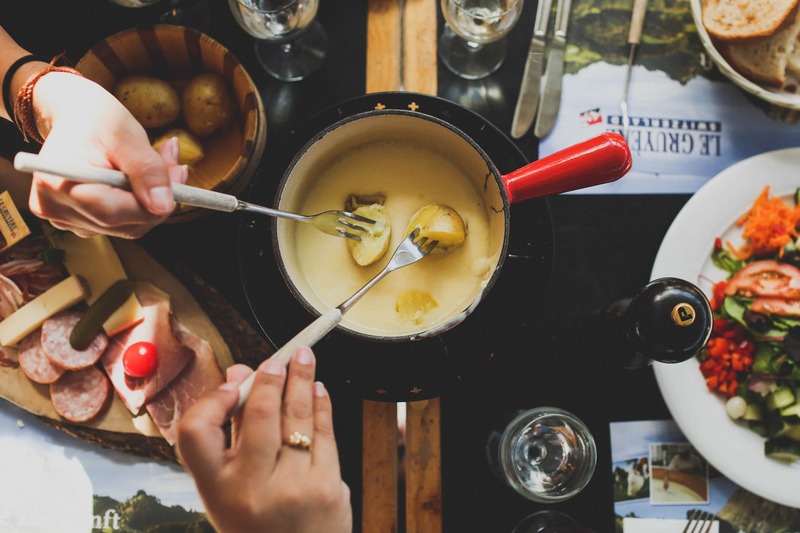 Luckily, the French Alps offer some amazing opportunities for keen foodies. From sophisticated dining in Michelin starred restaurants, to hearty traditional fare on the mountain, don’t miss out on tasting the culinary delights of the region. The black runs of Le Tunnel and Sarenne at Alpe d’Huez in France are legendary. Although one is more challenging than the other, it’s worth attempting both for extra kudos points. Only to be attempted by seasoned skiers. We’ve already mentioned heli-skiing, but a trip to the Alps doesn’t have to be all about skiing. In such a beautiful setting, it’s well worth taking the time to appreciate it. The best way to do this is from above. A helicopter tour over alpine resorts and mountain peaks is the perfect way to get the most out of the view. Here’s a challenge for you. Try skiing through four valleys in a day! The Three Valleys are home to the world class resorts of Courchevel, Meribel, Belleville and Maurienne. Over 600 km of connected pistes to race through! Make the climb up to the Col des Gentianes on foot to make the most of the fresh snow further up the mountain that is yet to be touched! Heaven indeed! For anyone visiting the Italian Alps, this drink is a must. The bombardino is an indulgent concoction of advocaat, brandy and whipped cream. Just go easy if you’re planning on making it back down the mountain in one piece. Follow in the footsteps of some of the best skiing champions in the world on the Hahnenkamm downhill course in Austria. The destination of world cup ski races, a few days after the event, anyone can have a go. Brave the mousetrap jump and make it to the bottom a champion! 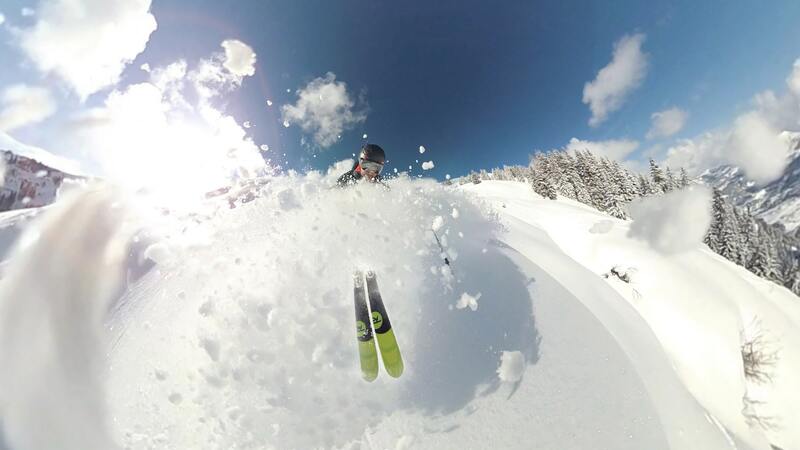 Make lasting memories by sticking on a GoPro and heading to the slopes. With some simple editing software, a humble amateur ski or snowboard trip can be made to look pretty epic. 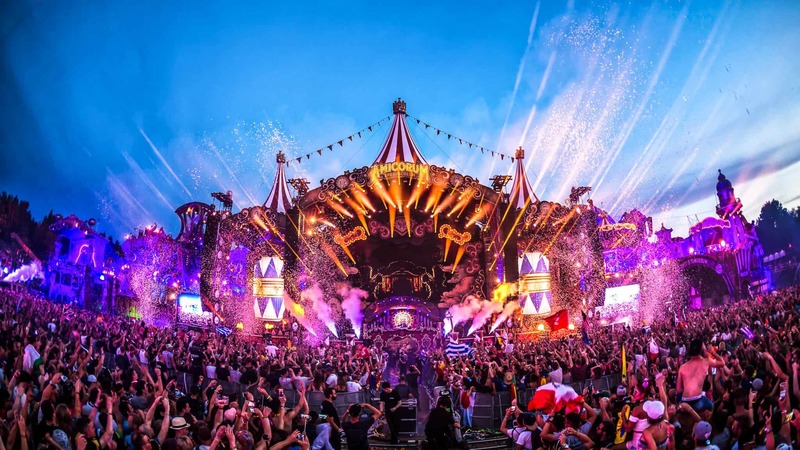 Ski and music festivals are increasing in number and quality every year, with several of the bigger ones attracting world-renowned headliners and DJ’s. Ski all day and party all night at Tomorrowland Winter, Snowboxx or Snowbombing. Go for a romantic session out on the snow on a floodlit slope. Lots of resorts in Switzerland and Austria have this option available. It brings a whole new dimension to skiing and is definitely one for the list. Snowshoeing is essentially hiking in the snow. Strap some snowshoes to your feet and go out and explore the mountain, spotting wildlife on your way. A great way of getting out into nature. This sport takes skiing to its extremes. It involves launching yourself off a mountain whilst skiing with nothing but a parachute! It goes without saying that this is not one for the fainthearted and involves lots of training, experience and a whole lot of courage! You might be surprised at how easy it is to go skiing in the warmer months. Plenty of alpine ski resorts are open well into May, and some glacier skiing is open all year round! This means you can enjoy the blue skies and take advantage of summer activities such as swimming, kayaking and hiking! Let Us Help You Get the Ball Rolling! Already ticked some of these off your list? Keep up the momentum! Or if you’re just getting started, get the ball rolling and book your next ski holiday in the Alps. Alps2Alps offer a low-cost, reliable ski transfer service to make sure your trip gets off to the right start. Download the handy app or head to the booking page to book your ski transfer with Alps2Alps.